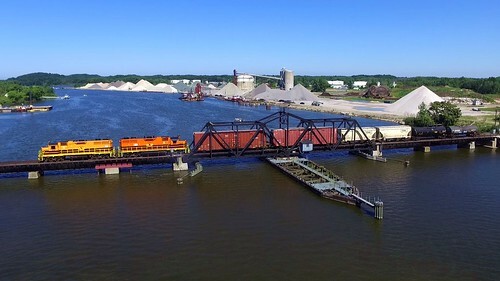 Railroadfan.com • View topic - Grand Haven Swing Bridge history? Guys, I am doing some research on the swing bridge at Grand Haven for a video, and I cannot seem to find a date for construction of the bridge. If anyone has a decent idea that would be helpful. Also when the ownership transfers from the various railroads that have used it would be helpful. I am going to continue looking, but for now I don't have much, and I am sure someone on here has a decent idea or at lease an idea of what the answers to these questions are. Re: Grand Haven Swing Bridge history? The date that sticks in my mind is 1871. That may not be that particular bridge, maybe the first swing bridge. I will see if I can borrow my books back from a friend who is educating himself. 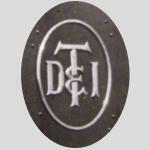 The current bridge was originally owned by the Grand Trunk ( DGR&M). I dont think this is the orginal bridge but the GDR&M orginally built into Grand Haven on the north side of of the river. The village eventually persuaded them to build across the Grand River onto the south side. This could be where the 1871 date comes from. The PM leased this bridge back on the 30's about the time the GTW moved their car ferries up to Muskegon. C&O eventually purchased the bridge outright at some later date. I believe this bridge is still owned by CSX. So it sounds like for a time the PM/C&O and GT shared trackage across the river here? Where did the PM originally cross? MQT1223 wrote: Where did the PM originally cross? Over the bridge in the photo above. The current bridge was build, I believe, around 1901 (???) to replace the wooden bridge that originally crossed. Don't quote me on it, as I am not 100 percent sure. I know the current was built by GTW, and PM had trackage rights over it. I recall an article in the paper a while back about the bridge's 100 year anniversary. I still have the article, though it is just an image with a brief description. I can scan it and upload it if I can dig it up. edit: never mind, I was thinking of a photo of a different bridge. Last edited by J T on Tue Oct 04, 2016 8:15 am, edited 1 time in total. Keep in mind that the bridge situation changed dramatically in the last century. Many photos I have seen listed the bridges wrong. Before the current (road) drawbridge, and the one it replaced, there was a swing bridge that looked similar to the existing rr bridge. This was a quarter mile or so east of the existing bridge until 1928. This bridge was a combo pedestrian/auto/interurban bridge. I have seen this bridge falsely labeled as the pm/gtw bridge. 3 rr bridges all within sight of each other, and many road bridge upgrades make it interesting to keep track of. This has really got me thinking. I know the tracks ran to GH in the 1850s (GT), but since the rail yard and docks were on the north/west side of the river, a bridge in the current location would not be necessary. At least until the PM headed north from Holland and/or the yards and docks switched to the more recent location, downtown. I know I have seen photos from the 1880s or 90s where the RR action is all downtown meaning "the bridge" is there. I will have to dig a little deeper here, in my spare time. I am still looking (in the little bit of spare time I have), but I did find some info. The GTW (D&M at the time) hit Grand Haven in 1858, on the north/west side of the river. That means no swing bridge at its current location. The PM came through in the early 1870s, so I would assume that is when all tracks moved downtown GH, and a bridge was built in the current location. Just found some info in a book titled "Historic Grand Haven and Ottawa County", I found that the Michigan Lake Shore RR completed their line from Allegan through GH in 1872. The D&M RR moved over to downtown GH in 1874. I would say the original bridge was built within that 2 year period.